94949 AZO CD-Recordable media provides the ultimate in performance and compatibility. These CD-R discs utilize AZO recording dye, a patented technology, which provides the highest level of read/write performance, reliability and archival life for your CD-Recordable media. Like standard CD-Rs, these discs store up to 700MB or 80 minutes of CD-quality audio on a single disc. AZO CD-Rs are one-time record discs, ensuring that your music, images or other data will not be erased. 94795 AZO CD-Recordable media provides the ultimate in performance and compatibility. These CD-R discs utilize AZO recording dye, a patented technology, which provides the highest level of read/write performance, reliability and archival life for your CD-Recordable media. Like standard CD-Rs, these discs store up to 700MB or 80 minutes of CD-quality audio on a single disc. AZO CD-Rs are one-time record discs, ensuring that your music, images or other data will not be erased. 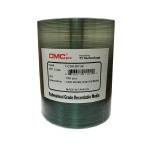 94938 AZO CD-Recordable media provides the ultimate in performance and compatibility. These CD-R discs utilize AZO recording dye, a patented technology, which provides the highest level of read/write performance, reliability and archival life for your CD-Recordable media. Like standard CD-Rs, these discs store up to 700MB or 80 minutes of CD-quality audio on a single disc. AZO CD-Rs are one-time record discs, ensuring that your music, images or other data will not be erased. 46112927 Spin-X White Thermal Hub Printable 52X CD-R, Tape Wrap, 500 per Box 95253 Create high quality, customized labels for your CDs with Verbatim White Thermal Printable CD-Recordable discs. These discs have been extensively tested for compatibility with color and mono-color thermal printers from Prism, Everest and Casio. These discs offer 700MB or 80 minutes of CD-quality storage capacity and are compatible with disc burners up to 52X speed. These are one-time record discs, ensuring that your music, images or other data will not be erased. 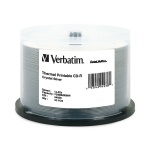 95254 Create high quality, customized labels for your CDs with Verbatim White Thermal Printable CD-Recordable discs. These discs have been extensively tested for compatibility with color and mono-color thermal printers from Prism, Everest and Casio. These discs offer 700MB or 80 minutes of CD-quality storage capacity and are compatible with disc burners up to 52X speed. These are one-time record discs, ensuring that your music, images or other data will not be erased. 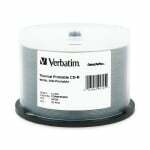 46113329 Spin-X Diamond White Thermal Hub Printable CD-R, 500 per Box CDS-CDR-WTHP This type of writing surface will yield cleaner pits and better compatibility and longer life span than other dyes. 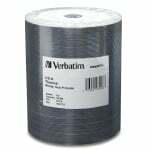 It guarantees high durability, provides excellent compatibility with most CD-R/RW DRIVES and CD players and yields much less error rates. In addition with its streaming fast burning speed capability and its big 80 minute/700MB capacity, it will be great for any application such as Audio, Video and Data. MIC-CDR80-EVR100 When it comes to recordable CD-R media, use a trusted brand. 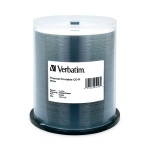 Microboards Technology now offers its own line of CD-R media with silver lacquer (thermal), Everest compatible and white inkjet surfaces, ideal for use in printing with Microboards' line of disc printers and publishers. Disc finishes are extremely smooth and feature a fast dry time. Designed for use in duplication, all media is fully licensed by Philips and compatible with the highest recording speeds. 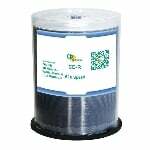 97018 AZO CD-Recordable media provides the ultimate in performance and compatibility. These CD-R discs utilize AZO recording dye, a patented technology, which provides the highest level of read/write performance, reliability and archival life for your CD-Recordable media. Like standard CD-Rs, these discs store up to 700MB or 80 minutes of CD-quality audio on a single disc. AZO CD-Rs are one-time record discs, ensuring that your music, images or other data will not be erased. TCDR-WPT-SK CMC Pro (Powered by TY Technology) CD-R media is manufactured to Taiyo Yuden's strict specifications and quality control standards, and is a perfect fit for professionals that require the lowest failure rate, highest playback compatibility, and superior printable surfaces. Get the most out of your Thermal Printer with CMC Pro Thermal printable media. The printable surfaces are specially-formulated to work with high-end thermal printers, consistently accept the printed image, and minimize peeling or tearing. TCDR-SPT-SK CMC Pro (Powered by TY Technology) CD-R media is manufactured to Taiyo Yuden's strict specifications and quality control standards, and is a perfect fit for professionals that require the lowest failure rate, highest playback compatibility, and superior printable surfaces. Get the most out of your Thermal Printer with CMC Pro Thermal printable media. The printable surfaces are specially-formulated to work with high-end thermal printers, consistently accept the printed image, and minimize peeling or tearing.